An air hostess has reportedly committed suicide by jumping off the plane she was in inside the airport. A Bulgarian air hostess working with the Emirates Air has reportedly died. 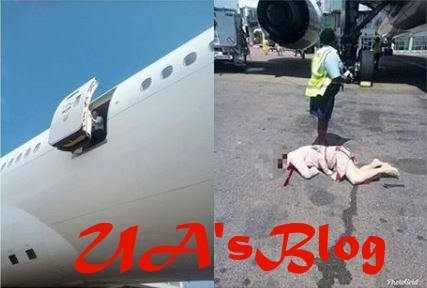 The woman committed suicide today at the Entebbe International Airport, Uganda. According to Capital FM, the deceased, identified simply as Elena, jumped out through the emergency exit door, shortly before take-off. She was immediately rushed to Kisubi Hospital, were she died.